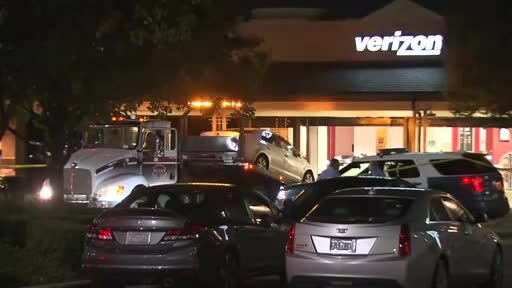 RALEIGH, N.C. (AP) — Authorities say a 74-year-old man ranting about a broken phone drove his car through the glass storefront of a Verizon Wireless store in North Carolina. A police statement says Charles Michael Hager was charged with assault with a deadly weapon and damaging property after he drove into the store at a busy shopping center late last week. In a 911 recording, an unidentified caller says Hager had come to the store after it closed demanding that they fix his phone. The caller says Hager said the store needed to reopen. A police news release says he first kicked the door, shattering glass, then drove his car through the storefront.